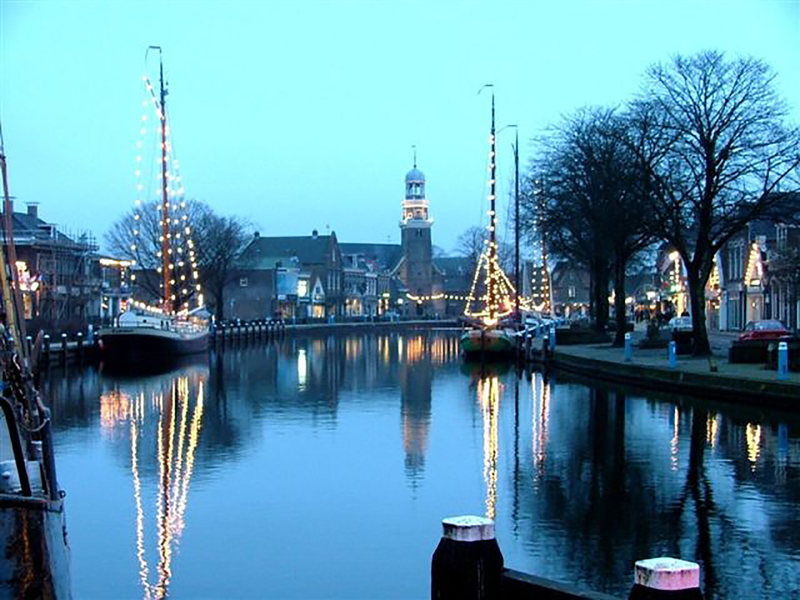 Lemmer is located on the edge of the IJsselmeer, and is the gateway to the Frisian lakes. With its sandy beach, bustling centre and the largest operational steam-powered pumping station in Europe, the port of Friesland has something for everyone. The old fishing village of Lemmer has been transformed into one of the friendliest water sports centres in Friesland. Lemmer connects the IJsselmeer with the Frisian Lakes. “De Vuurtoren” (“The Lighthouse”), which once starred in the famous eponymous film by Pieter Verhoeff, is located in front of the harbour entrance. A little further on, water sports enthusiasts enter Lemmer via the historic Lemster locks dating from 1888, with the picturesque lock keepers’ houses alongside.